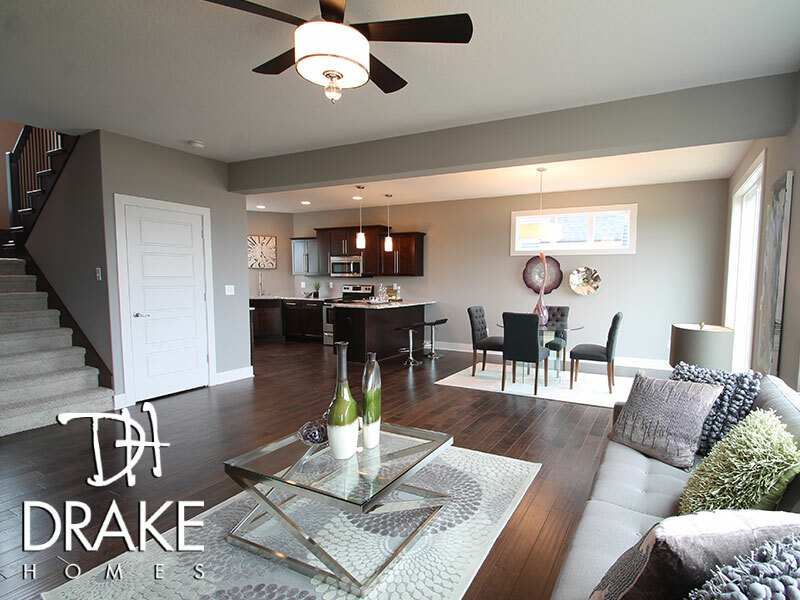 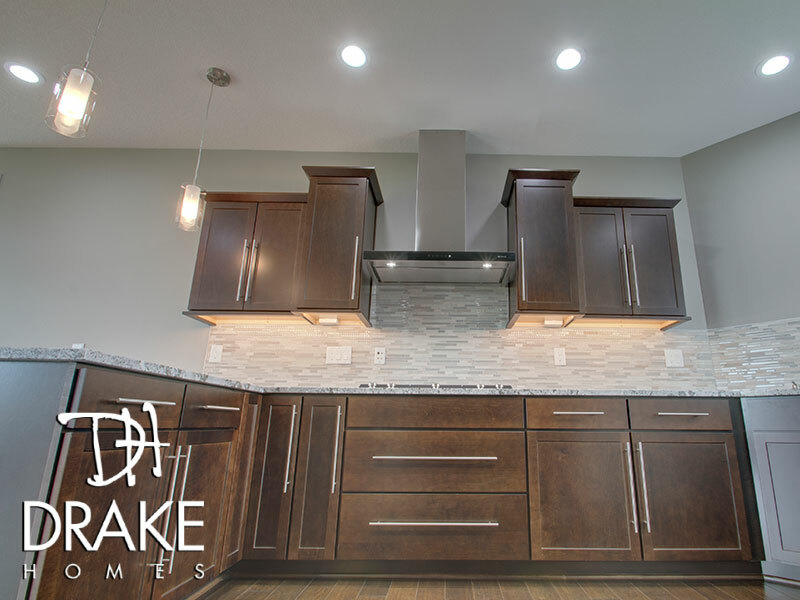 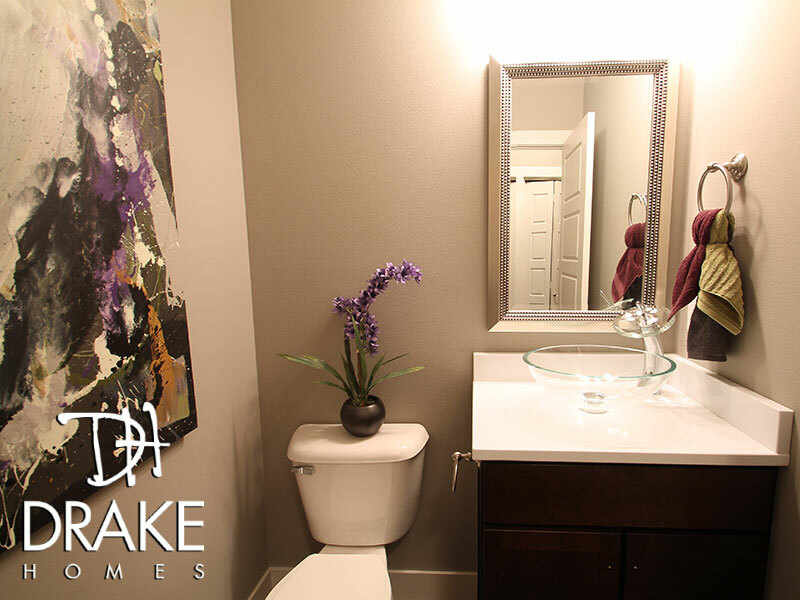 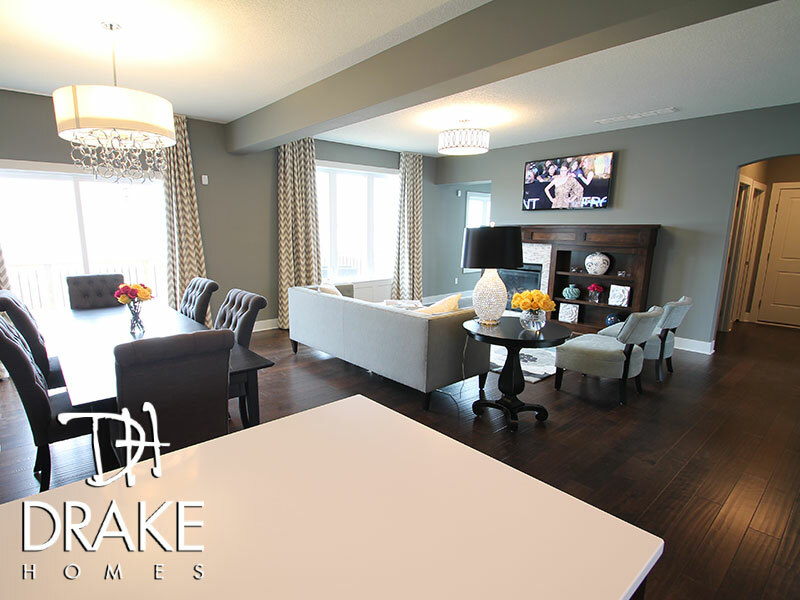 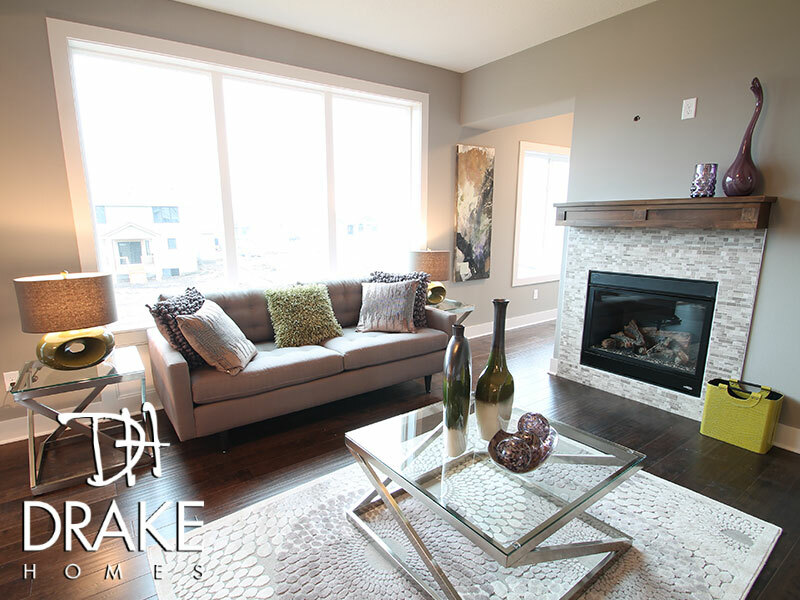 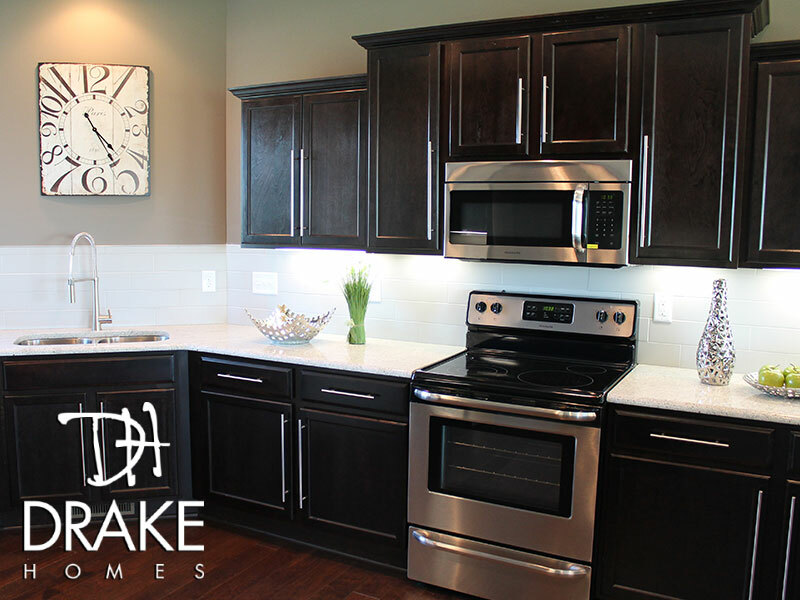 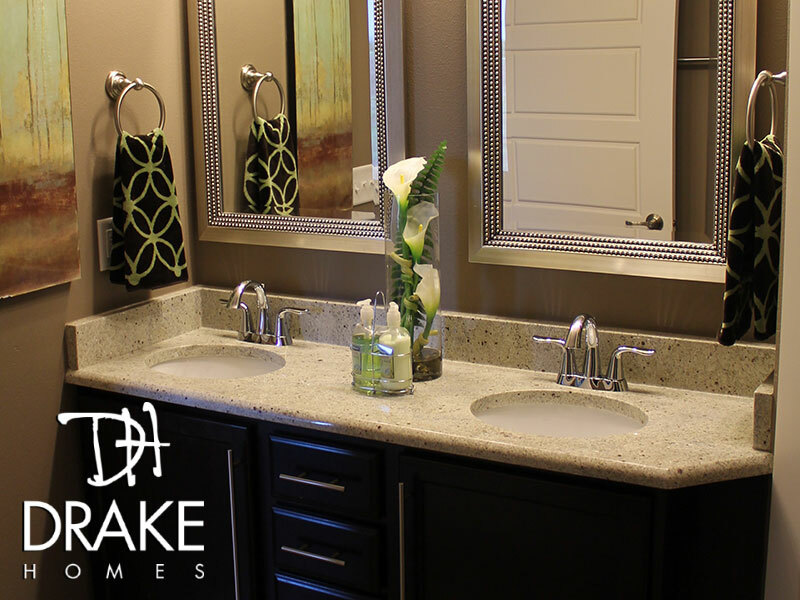 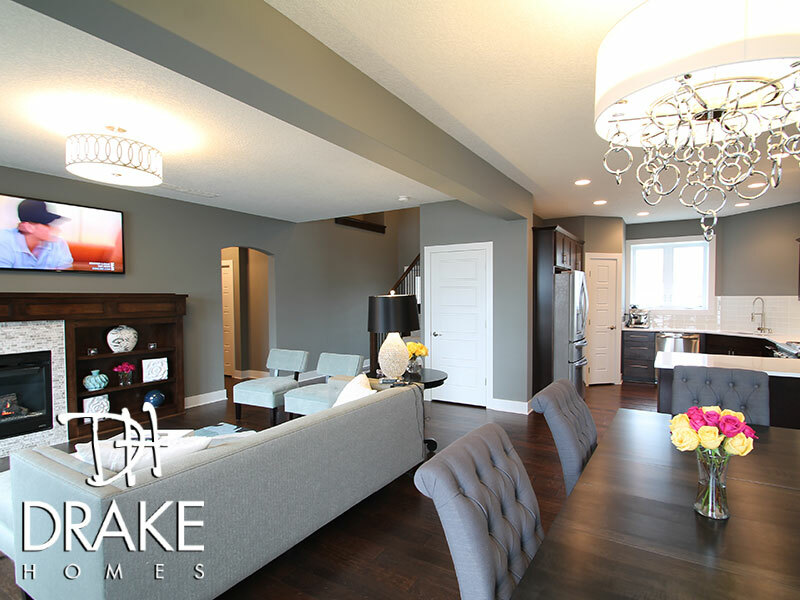 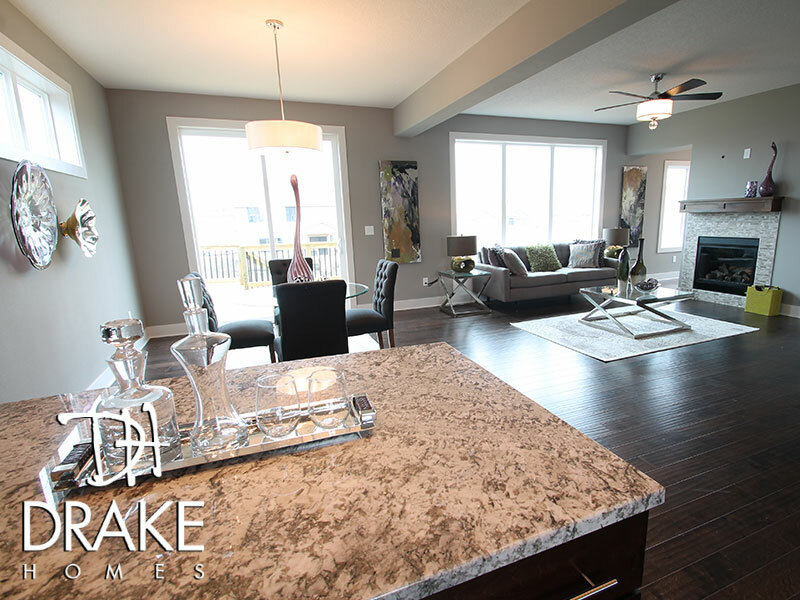 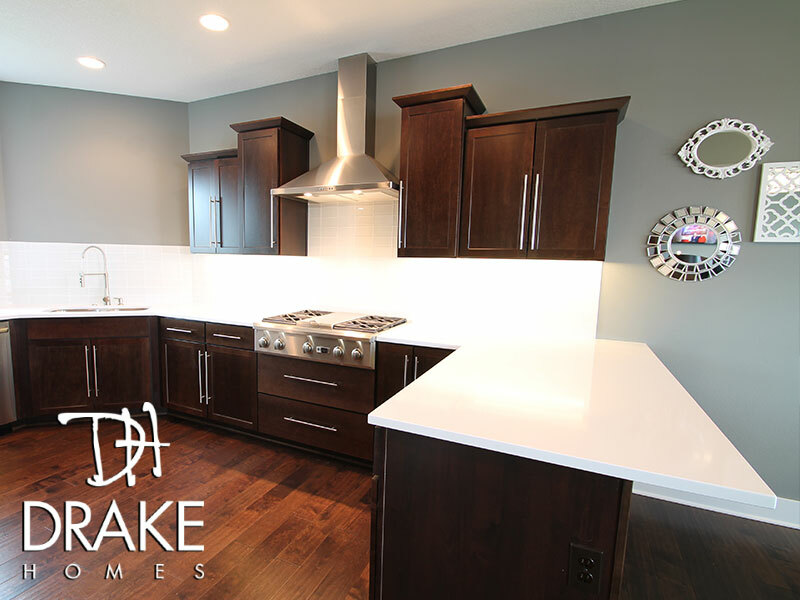 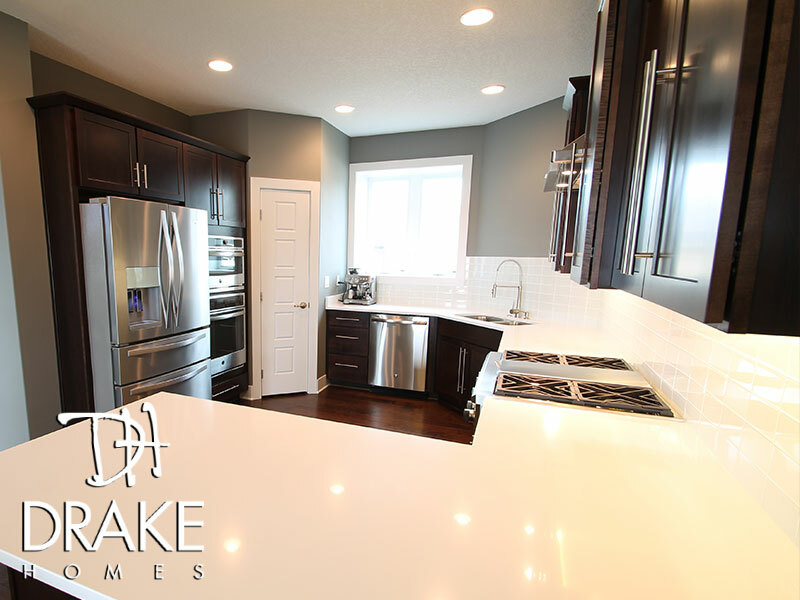 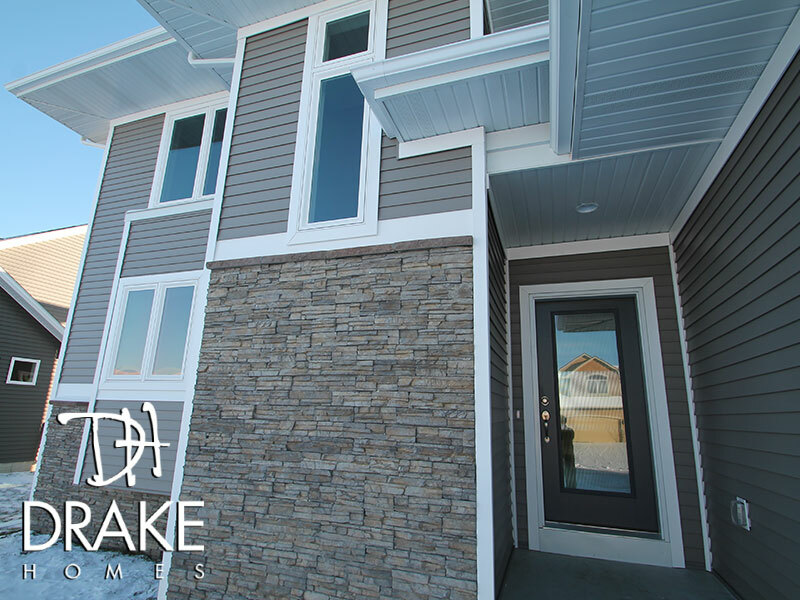 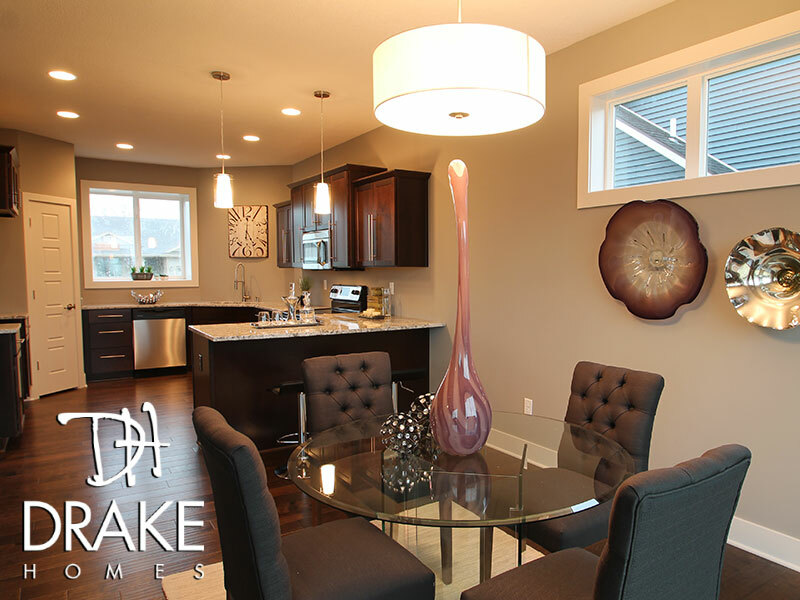 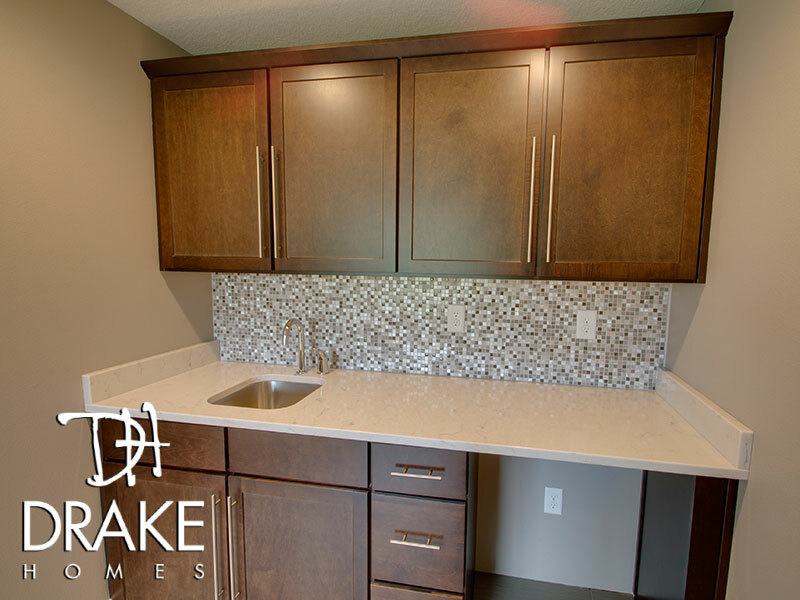 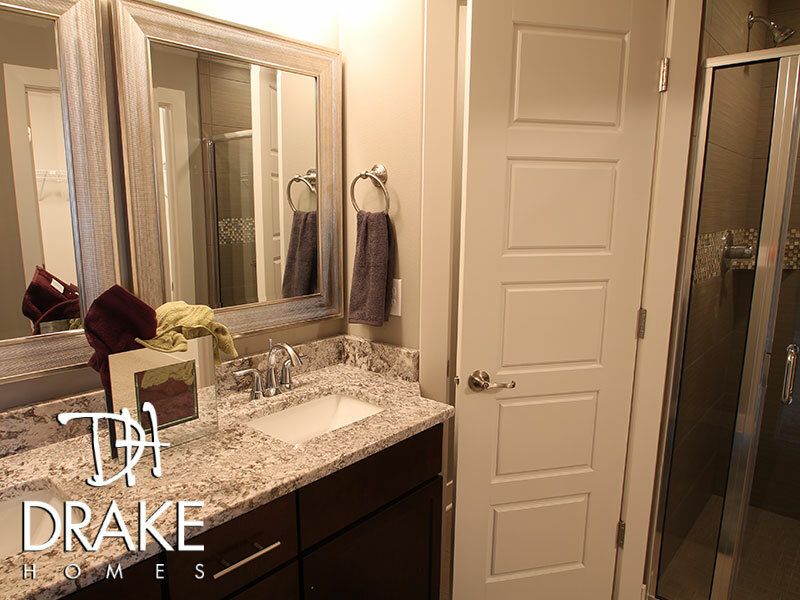 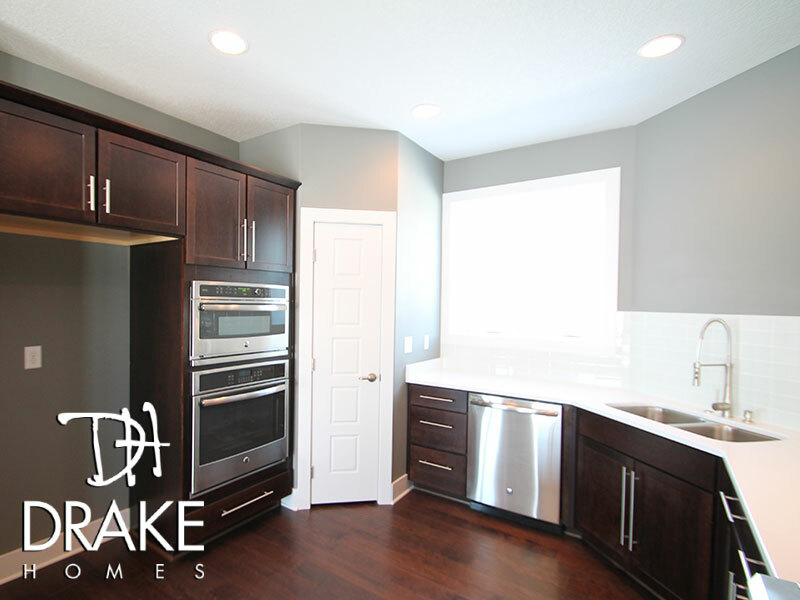 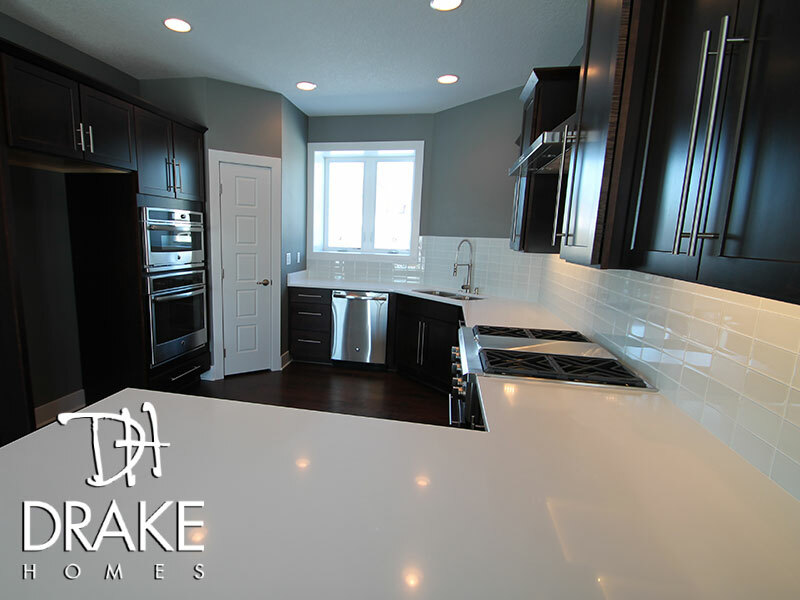 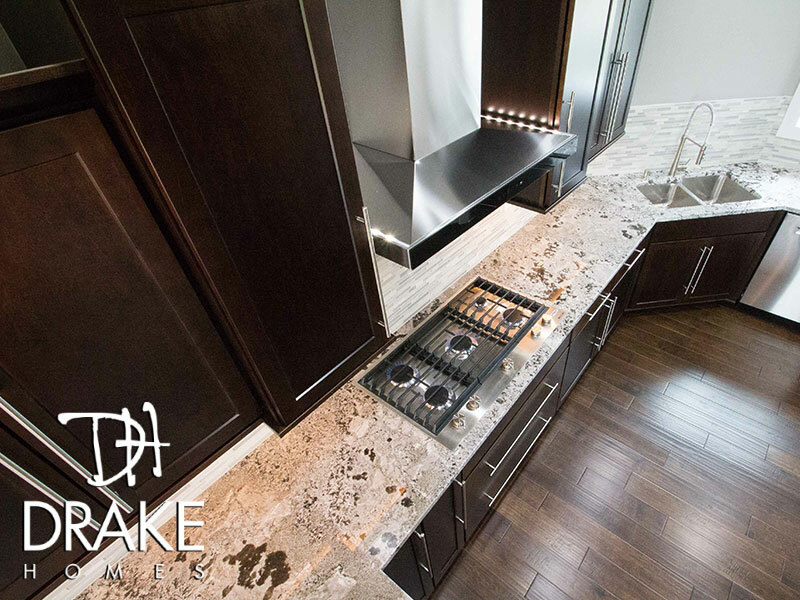 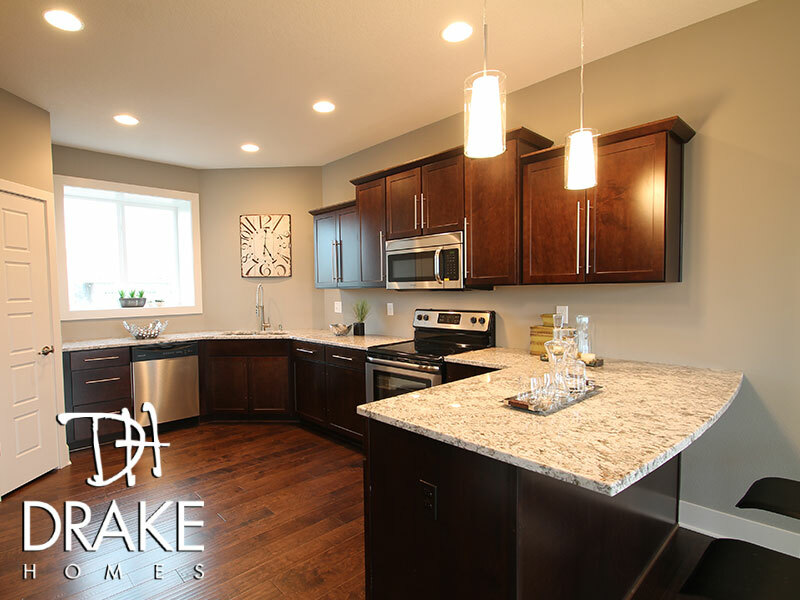 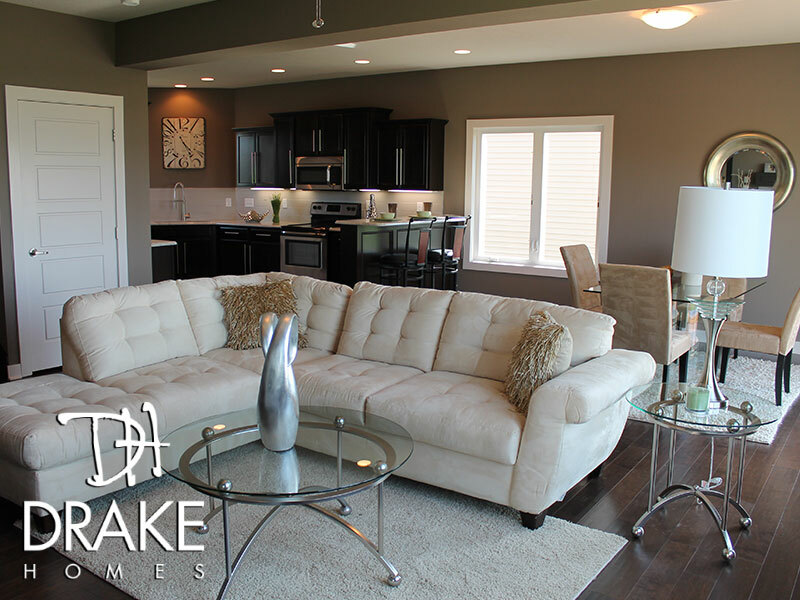 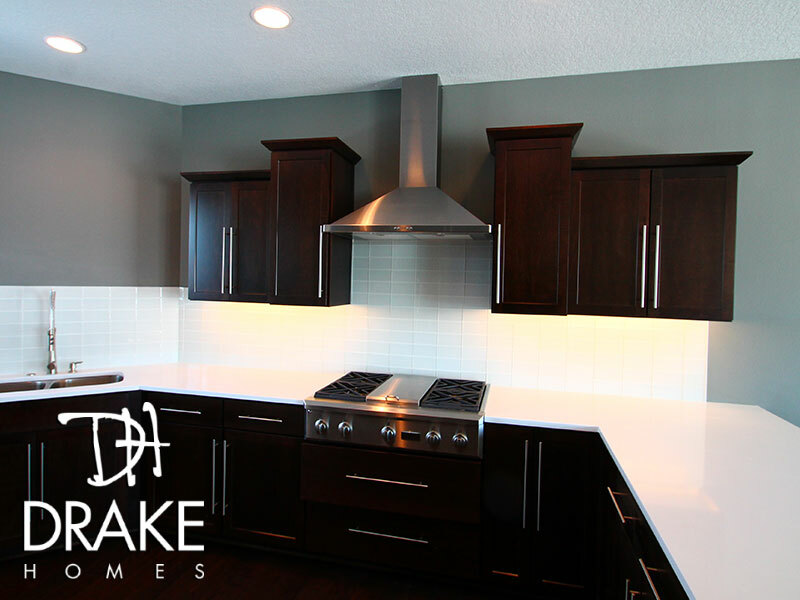 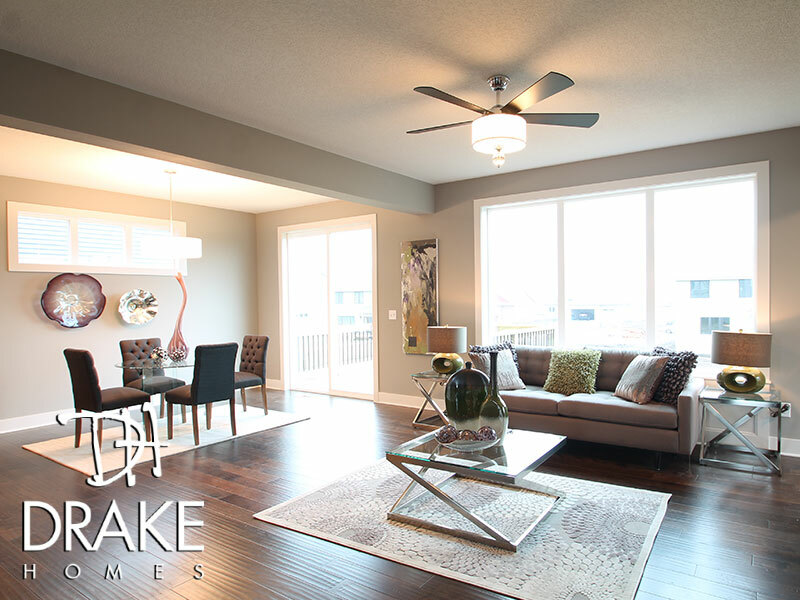 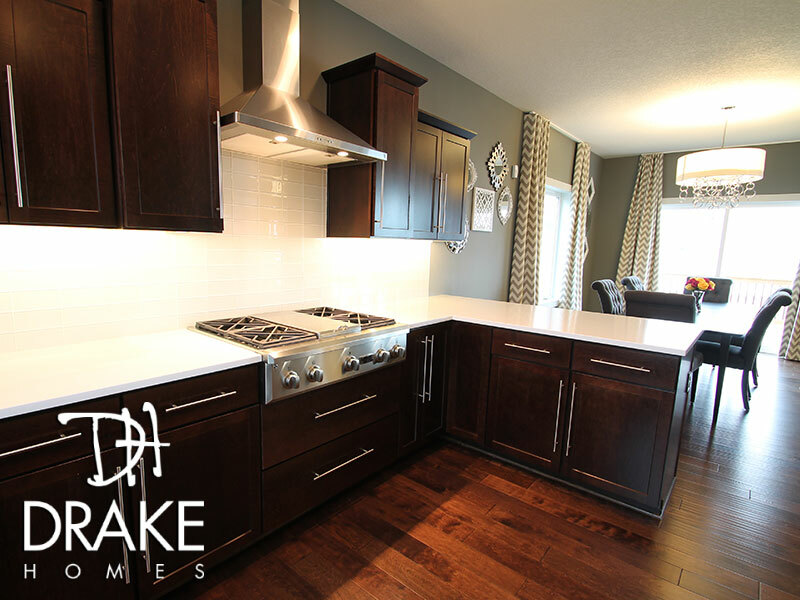 The Modern Dream is a high fashion, chic floor plan developed and built by Drake Homes. 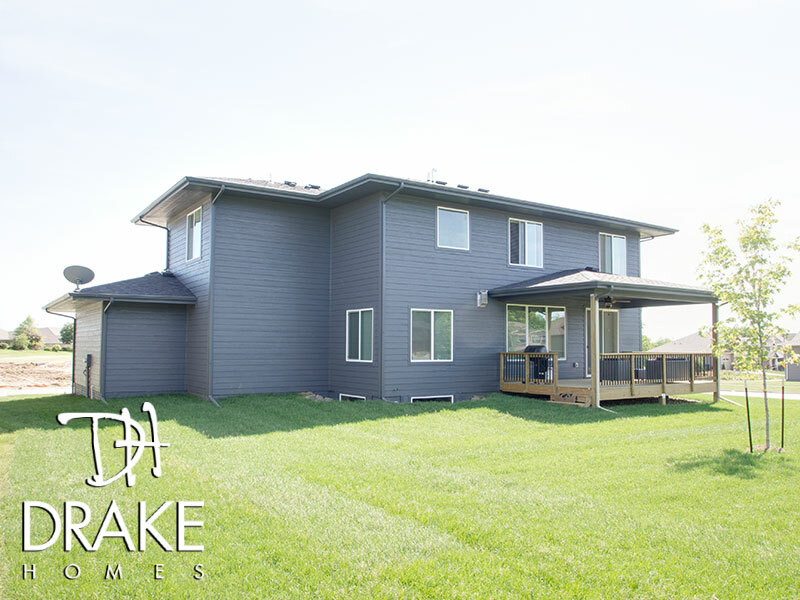 This two-story home is defined by open areas and a tactical use of space. 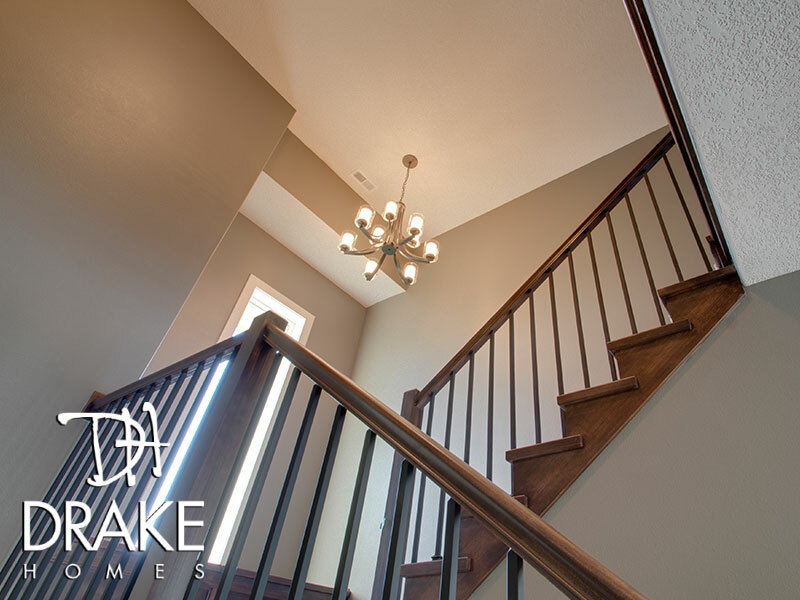 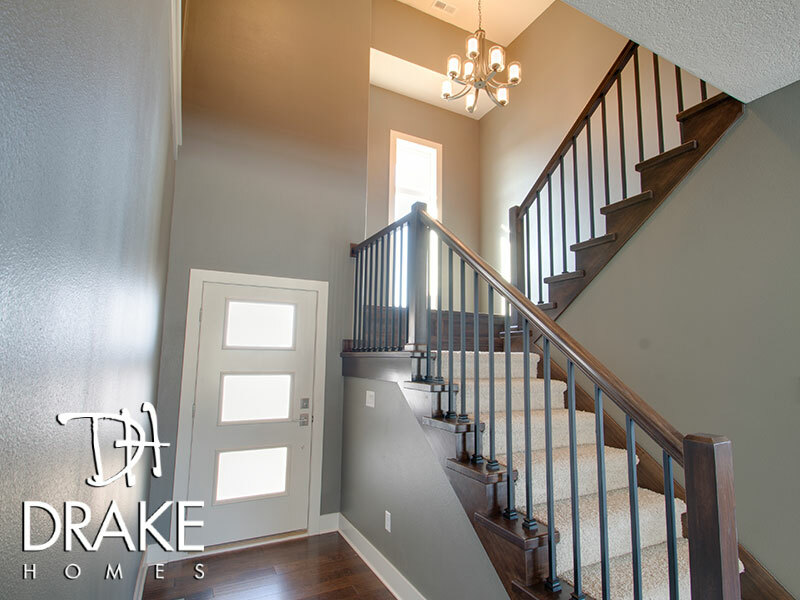 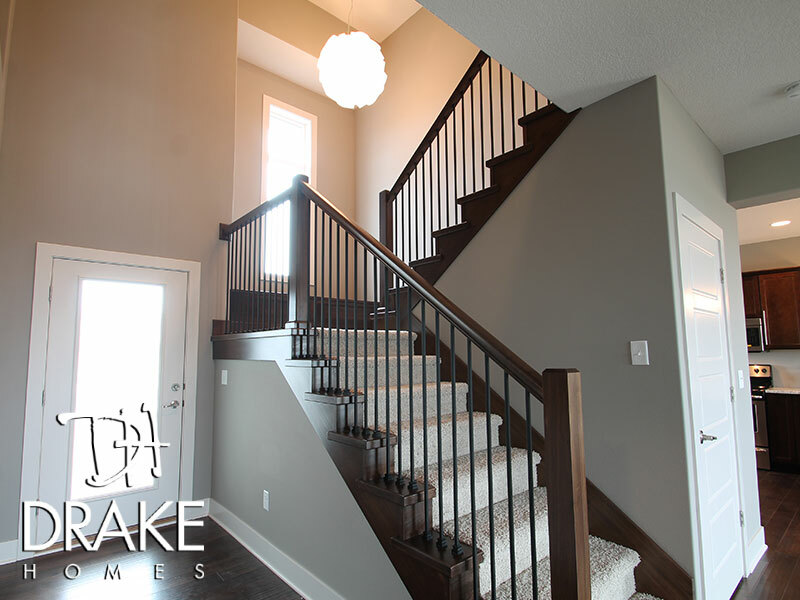 As you enter this home, the stairway is an opportunity to boldly showcase the perfect light fixture. 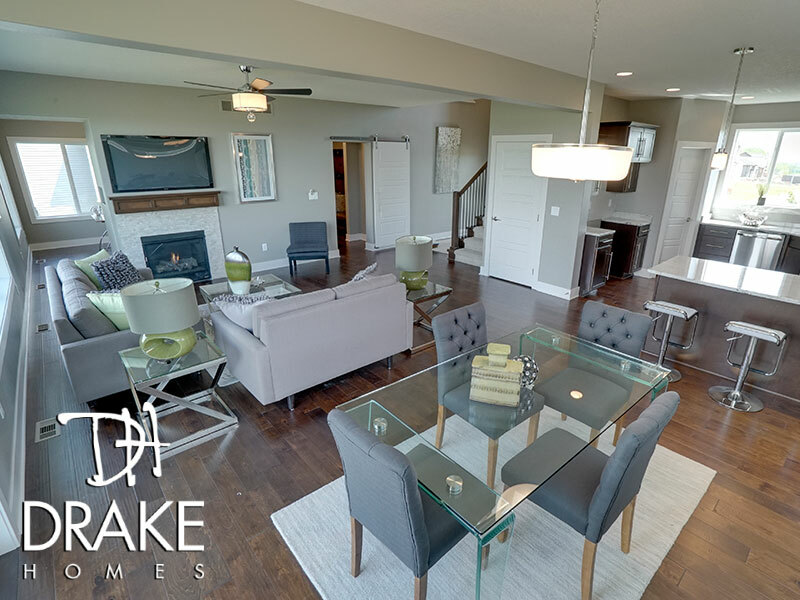 As you walk through the entry way, the airy openness feels perfect as you experience a spacious living room and connected dining area. 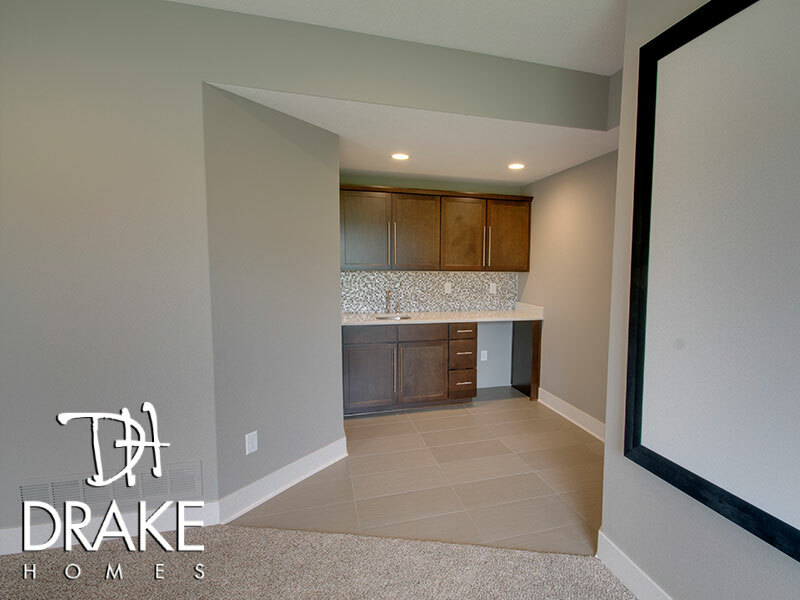 Hidden, but connected to the living room, is a special nook area that people are raving about. 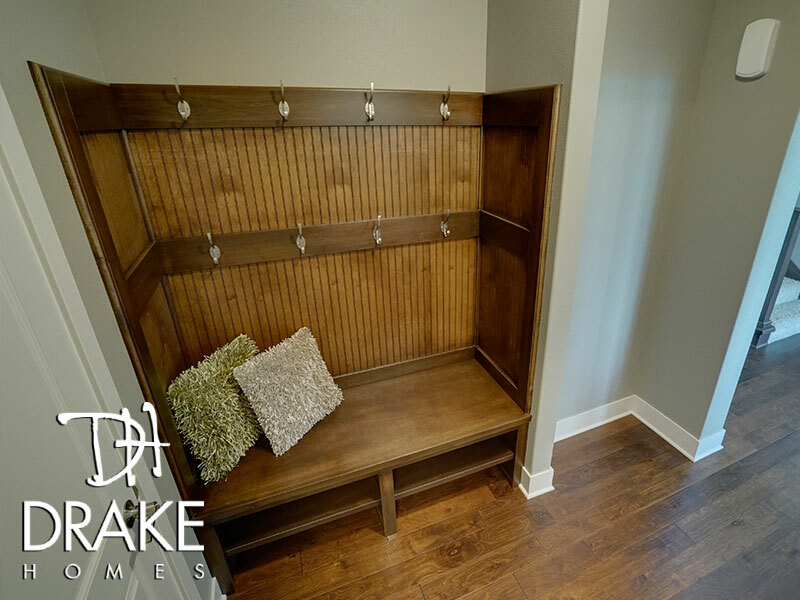 Use this as a reading nook, a small office, a children's play area, or whatever your heart desires! 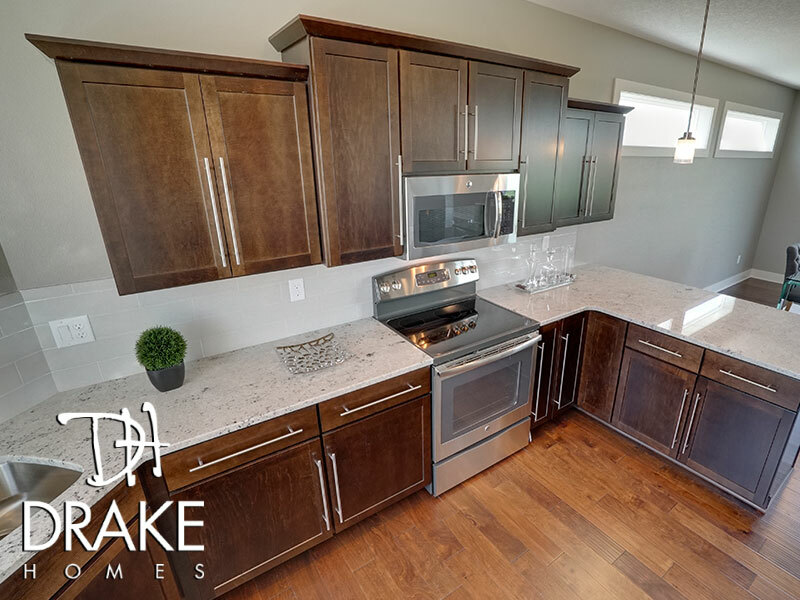 The kitchen is also something you'll love in this home. 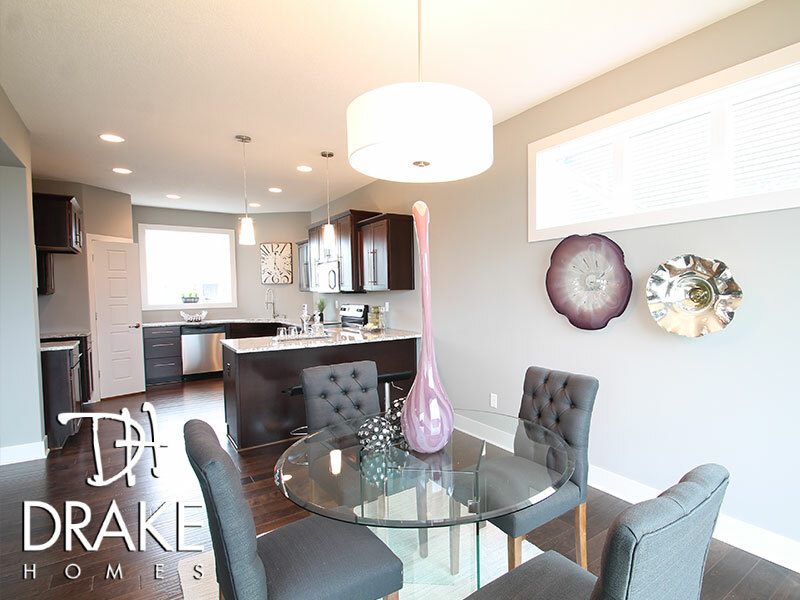 It perfectly compliments the dining area and anyone who loves entertaining family and friends. 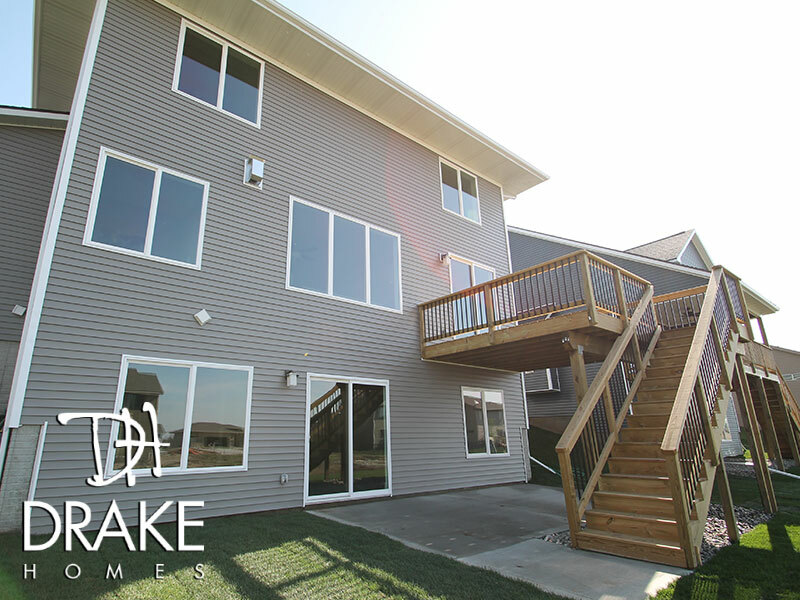 The main level is complete with an enlarged deck outside, half bath, laundry room, closets and garage entrance. 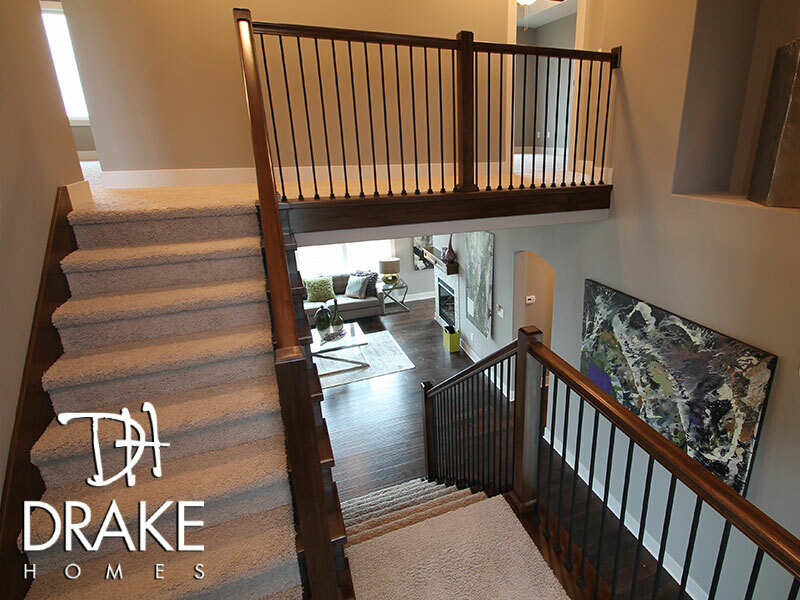 Moving upstairs, The Modern Dream has a unique walkway that leads to a sharply designed master bedroom, polished master bathroom, and large walk-in closet. 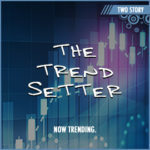 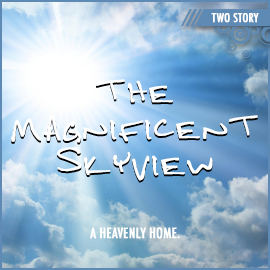 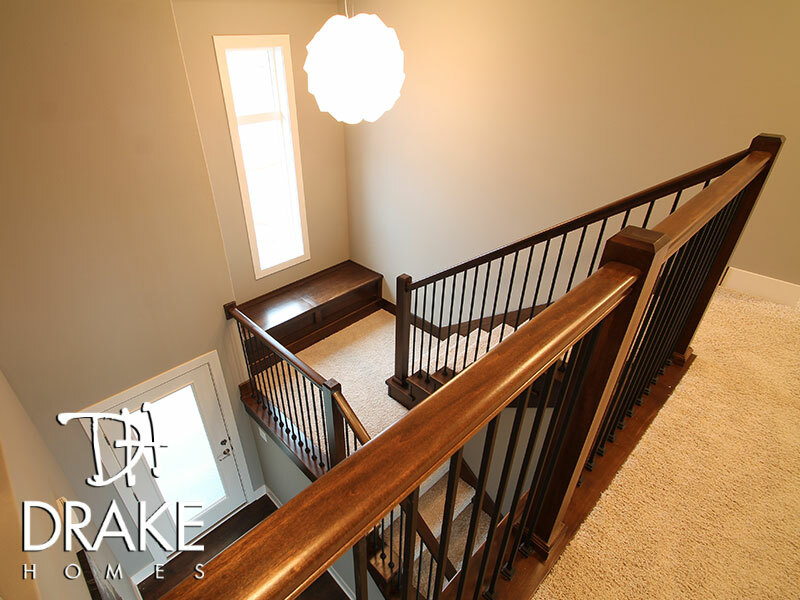 This upper level also includes two bedrooms and another full bathroom with complimenting closets. 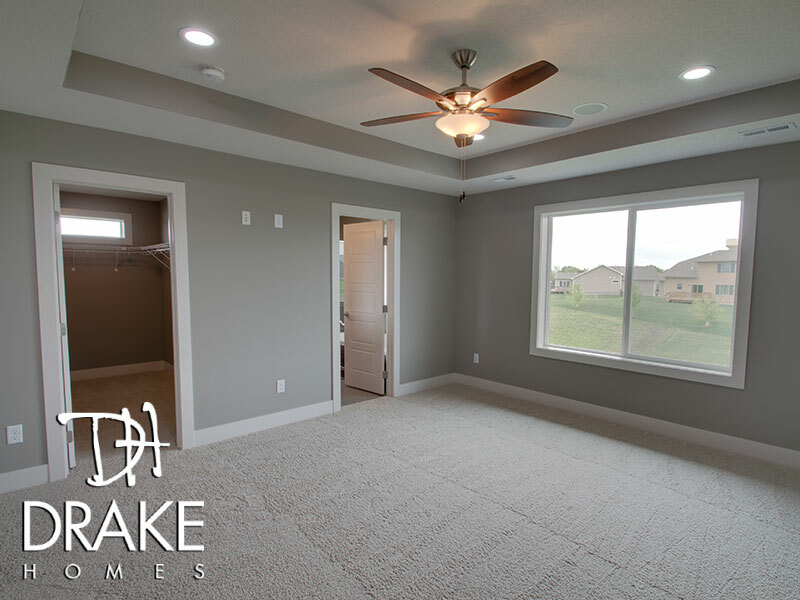 Along with these two separated living areas on the main and upper levels of the home, this floor plan's basement provides a great space to finish your dream on beautiful note. 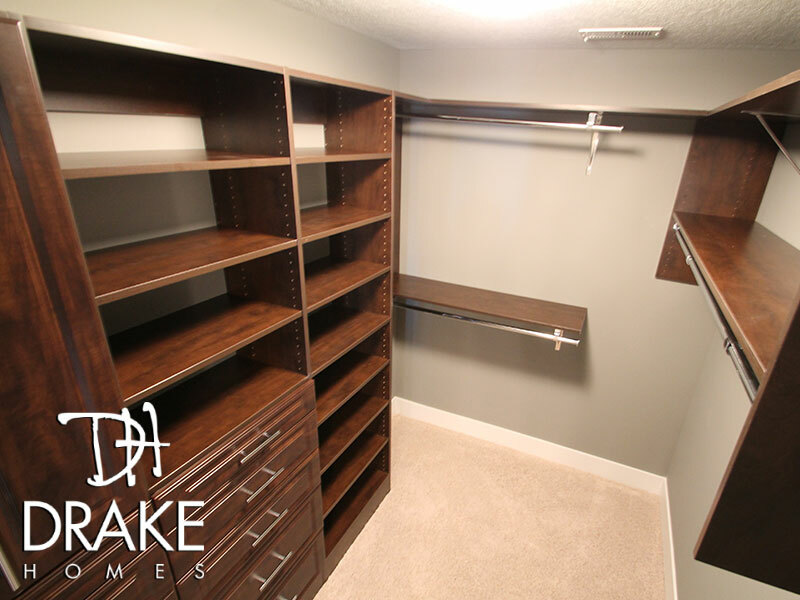 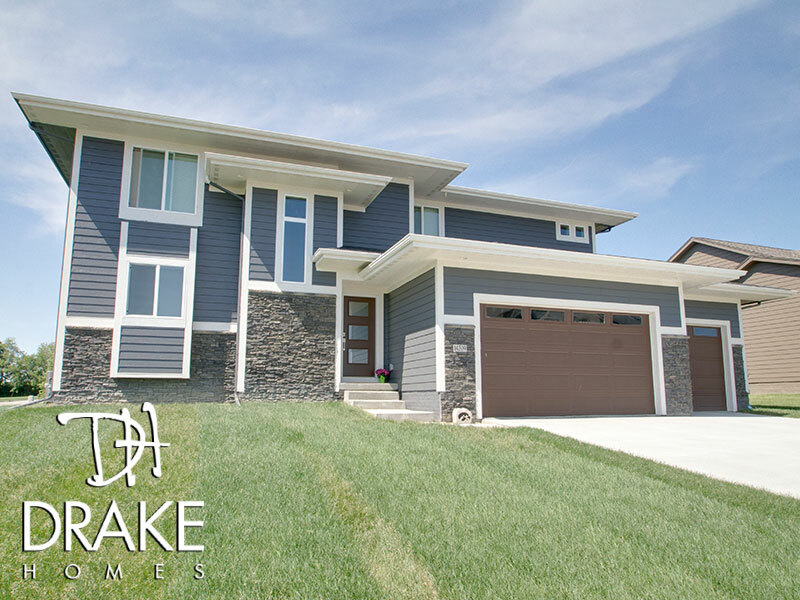 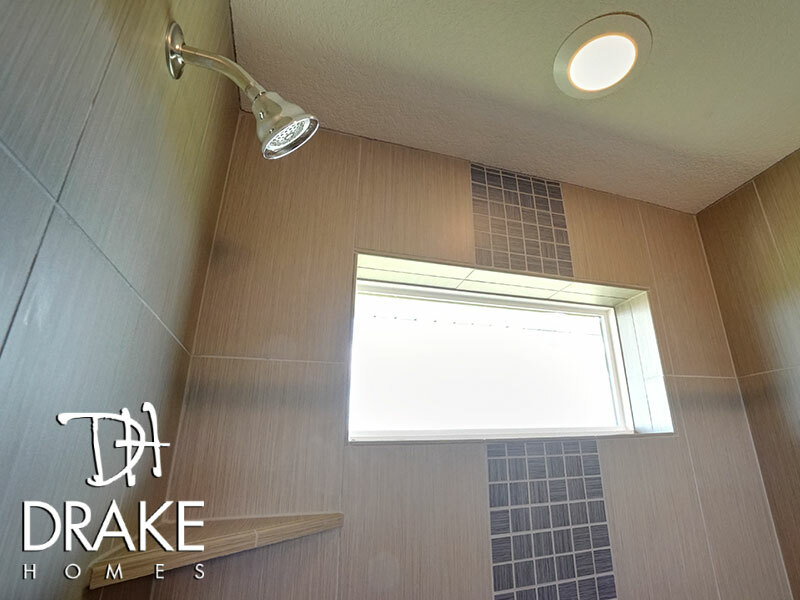 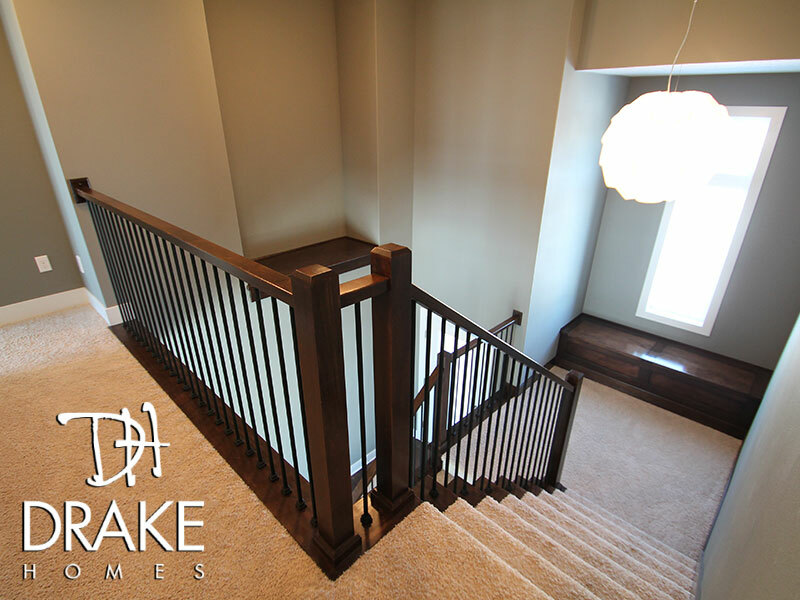 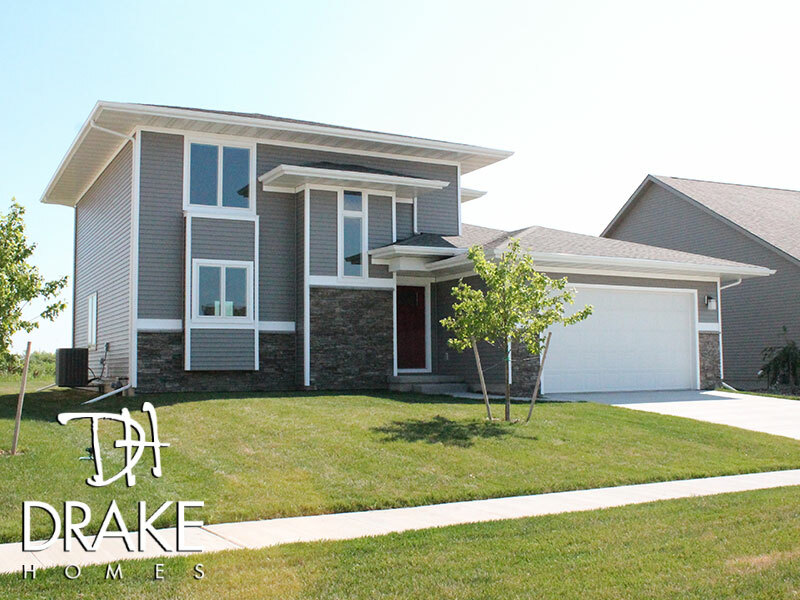 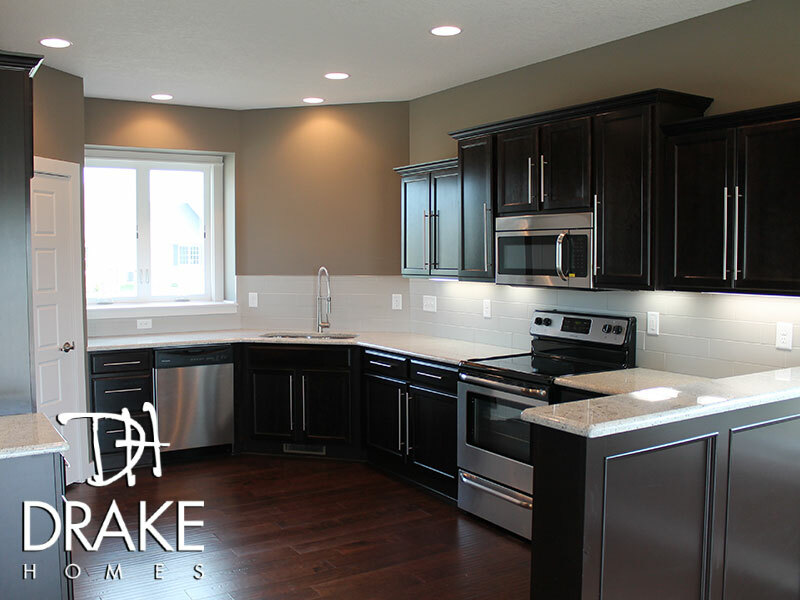 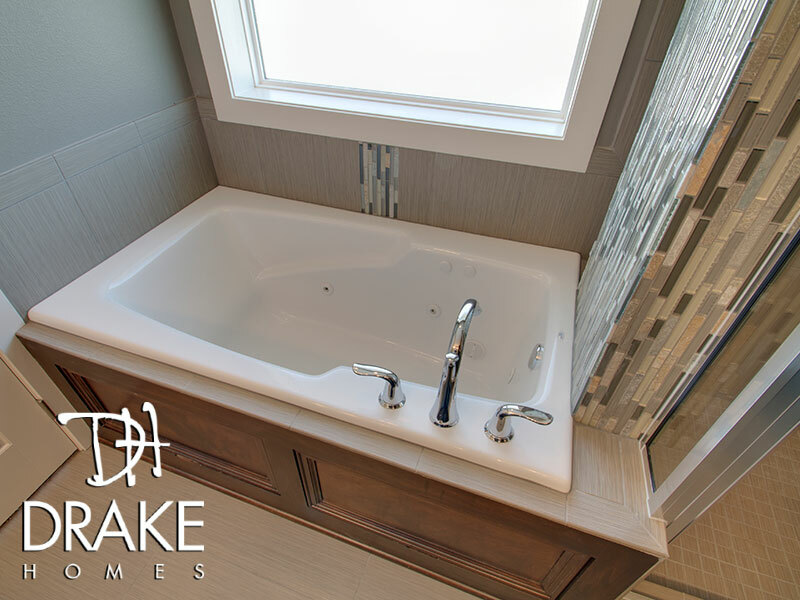 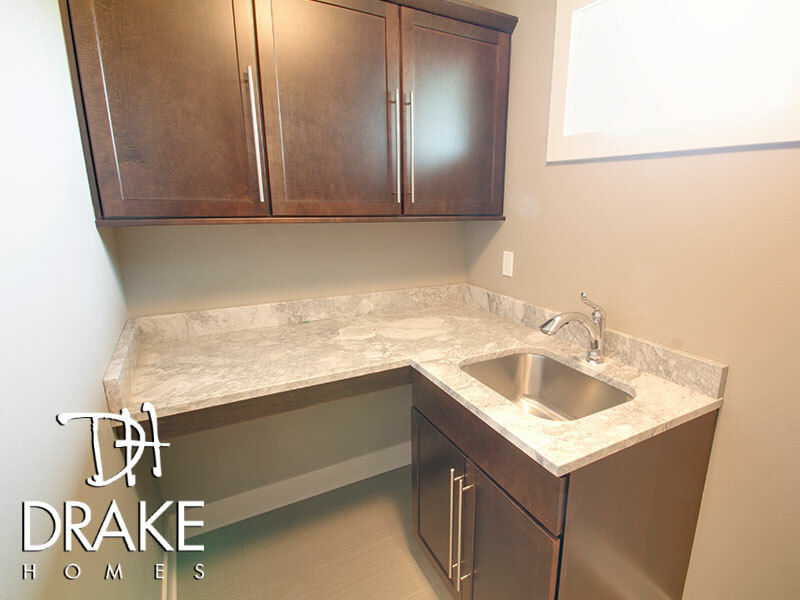 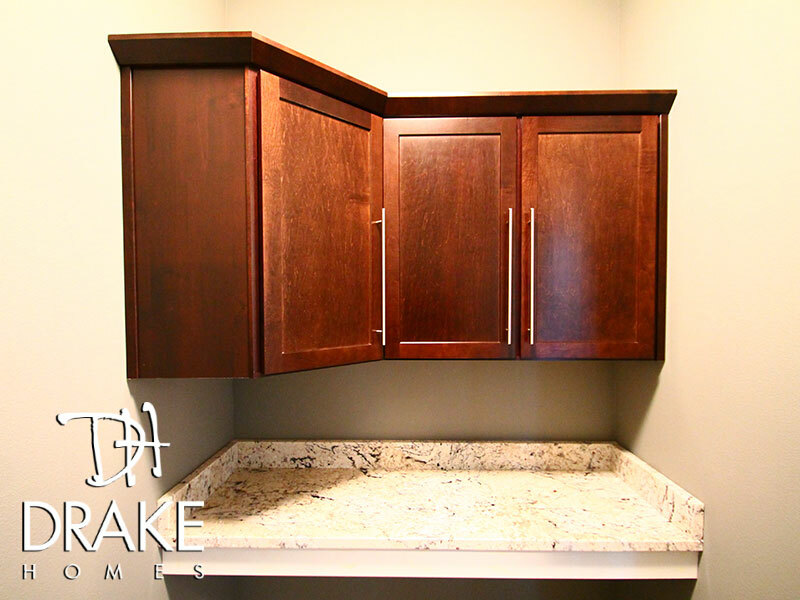 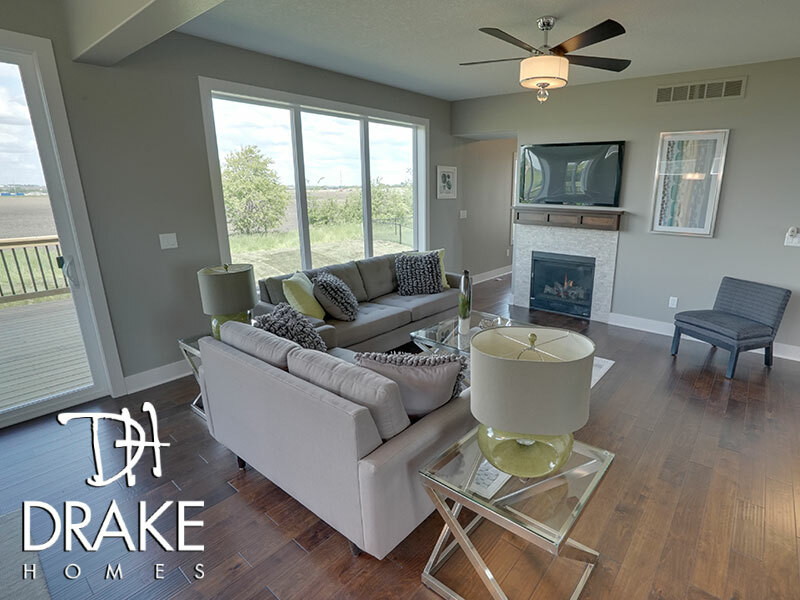 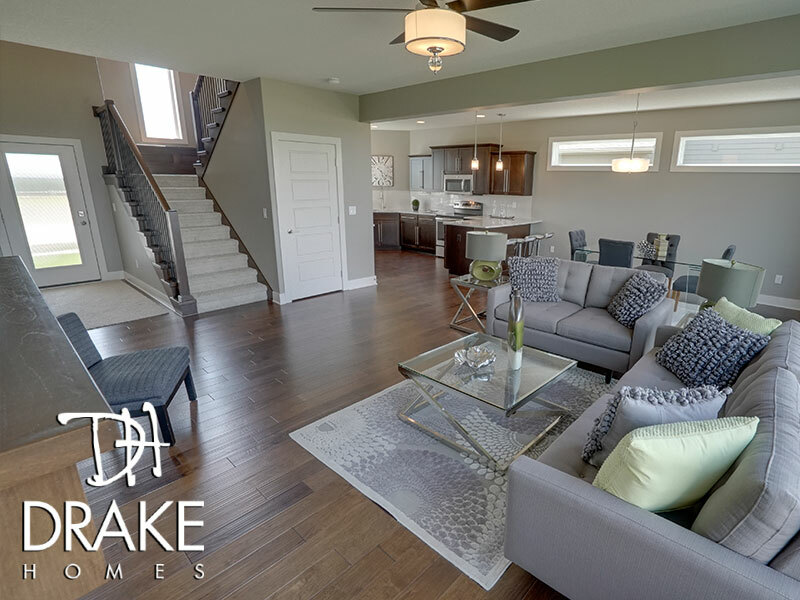 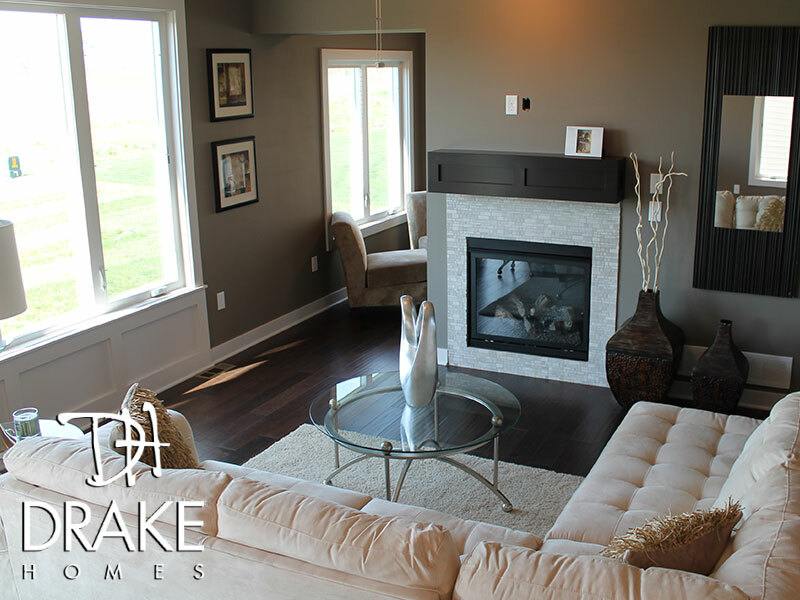 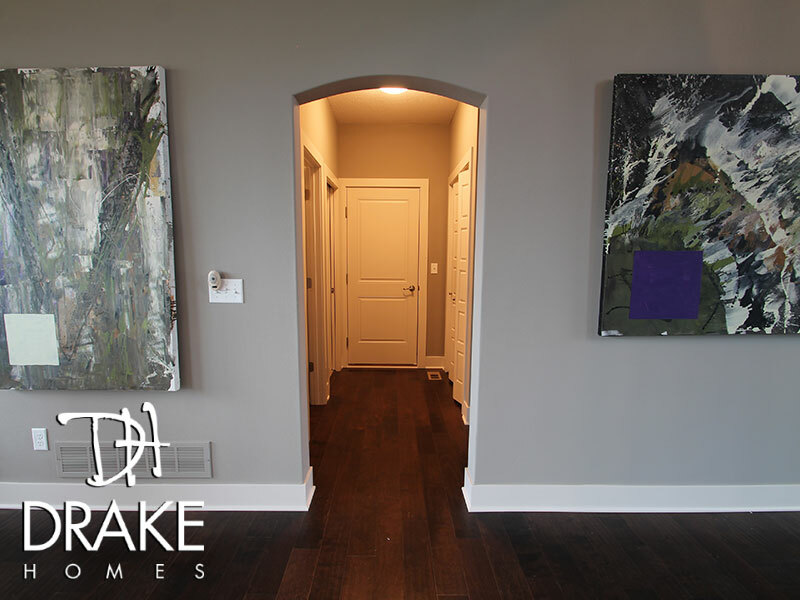 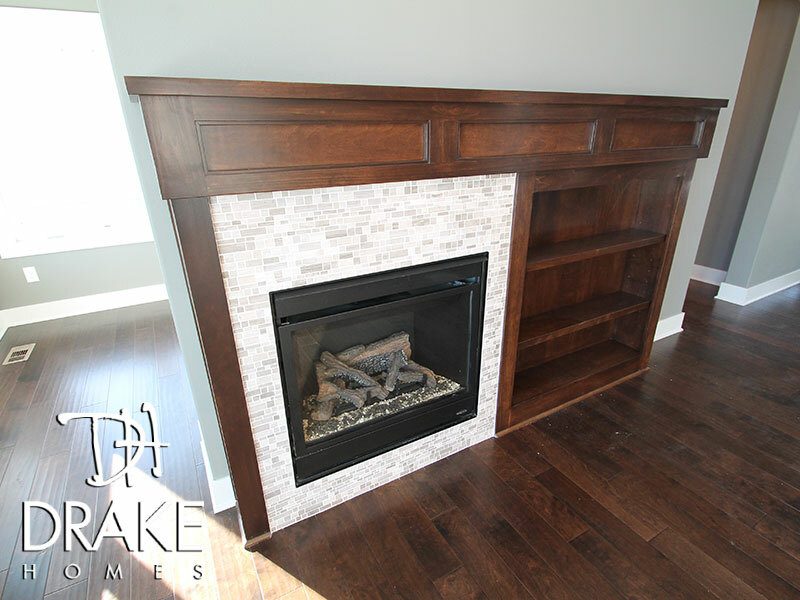 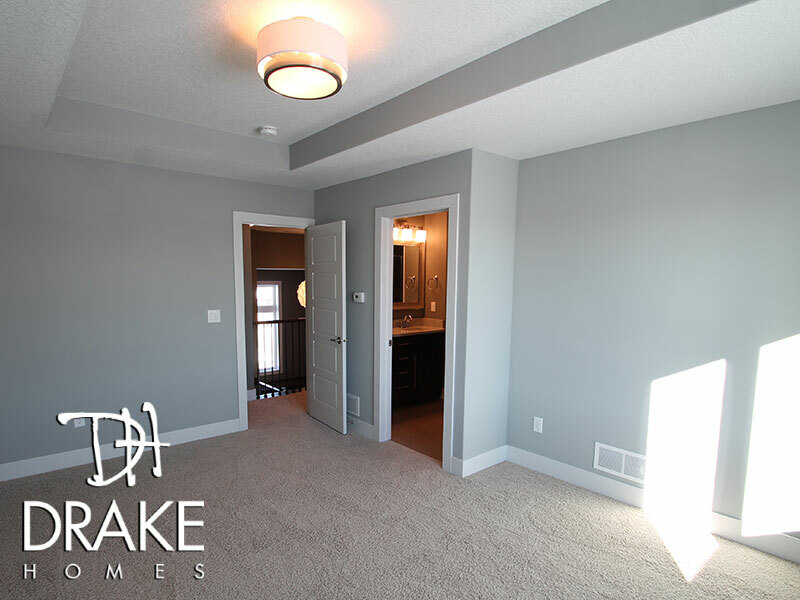 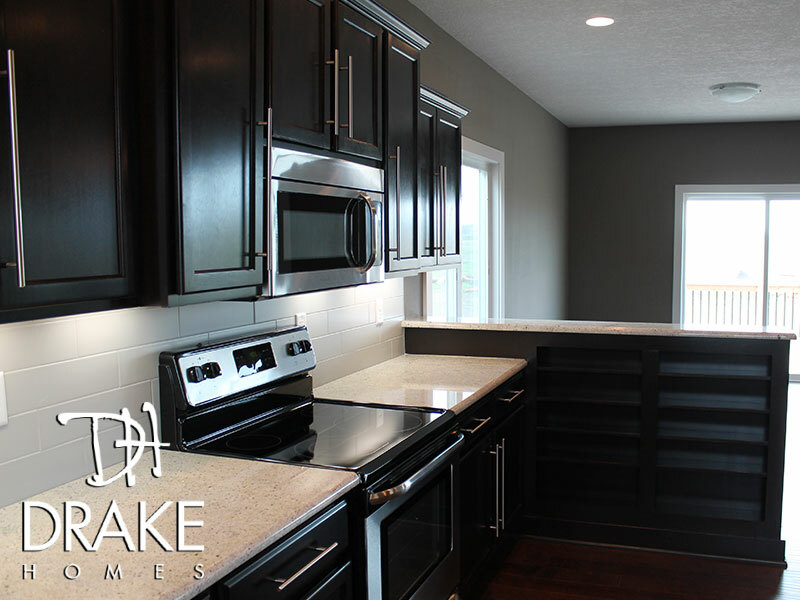 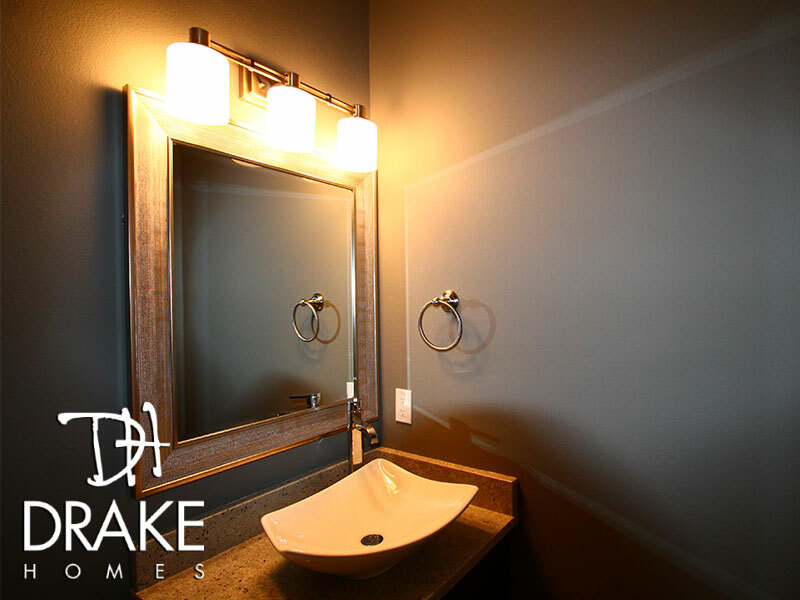 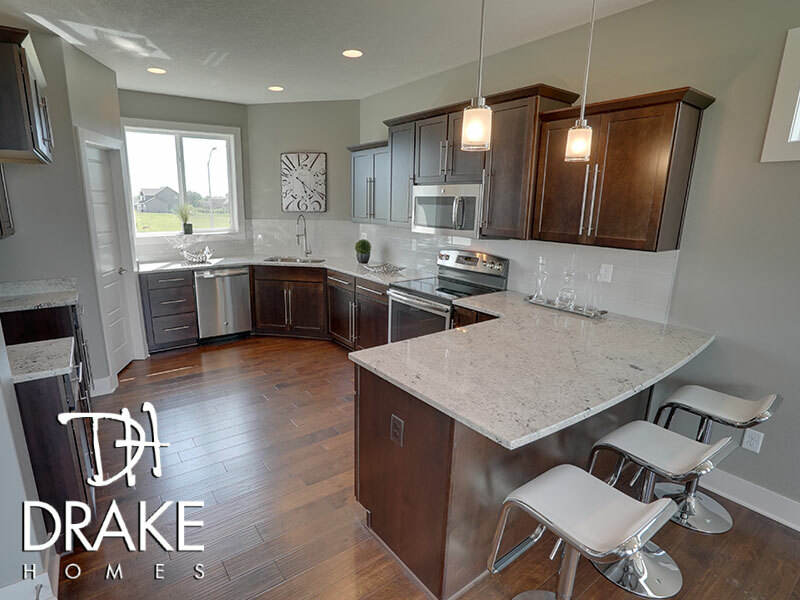 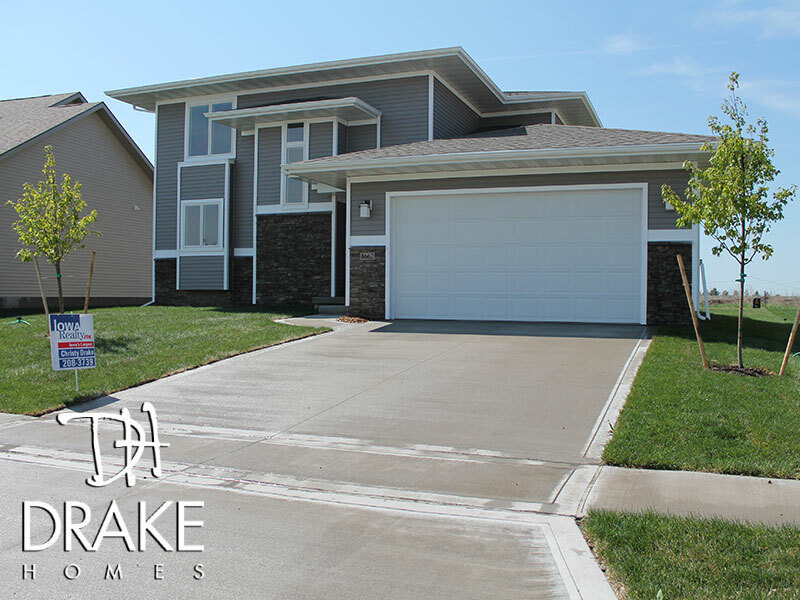 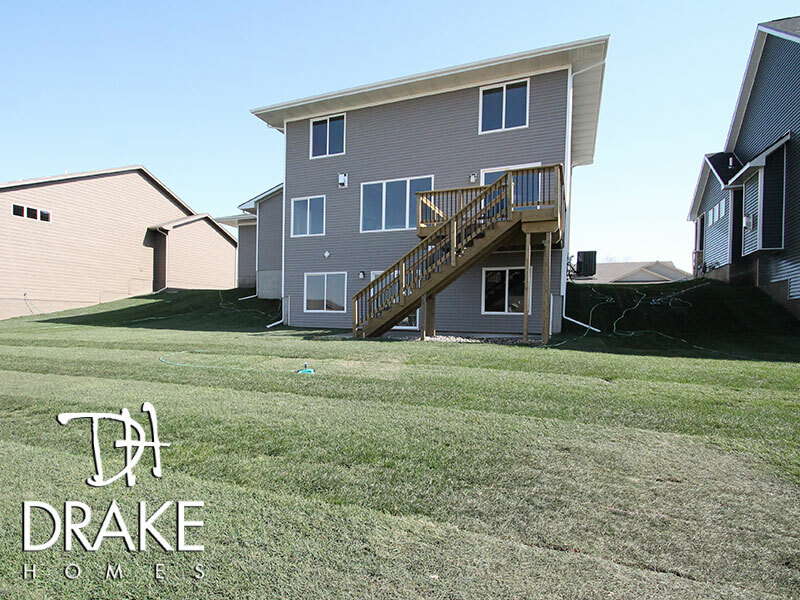 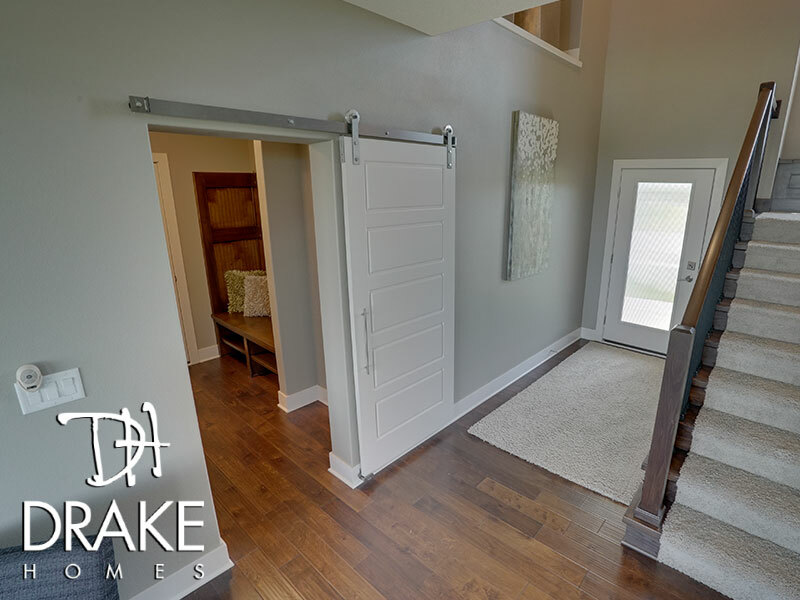 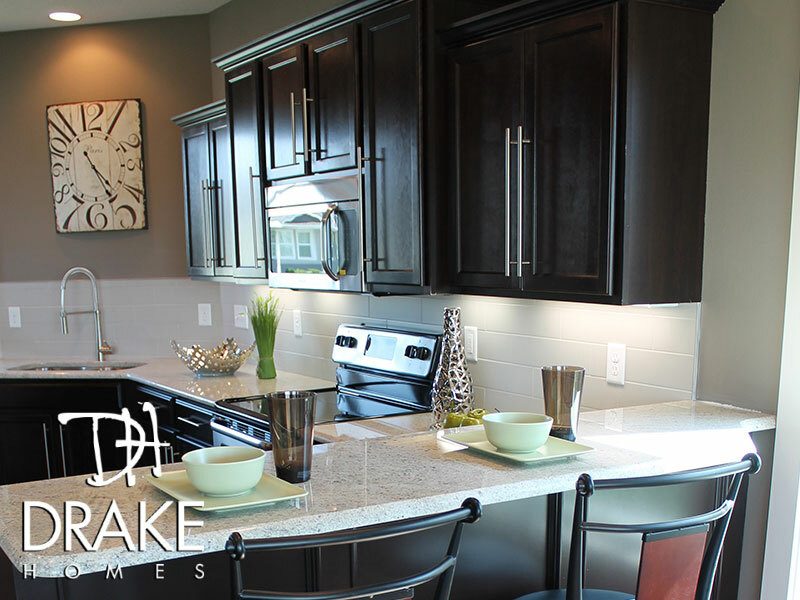 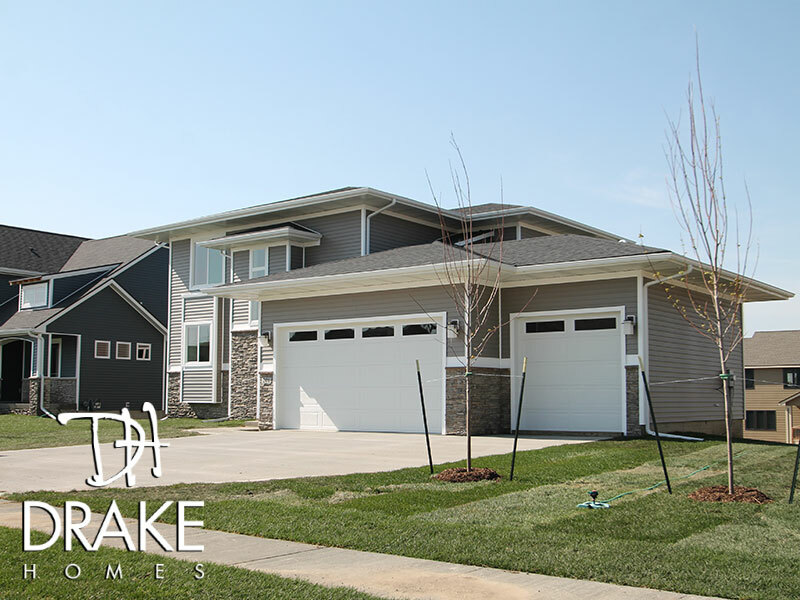 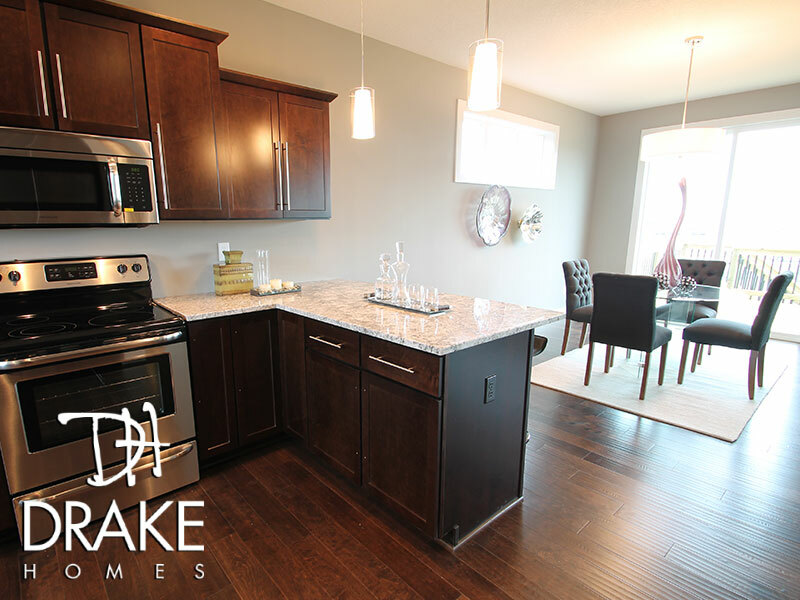 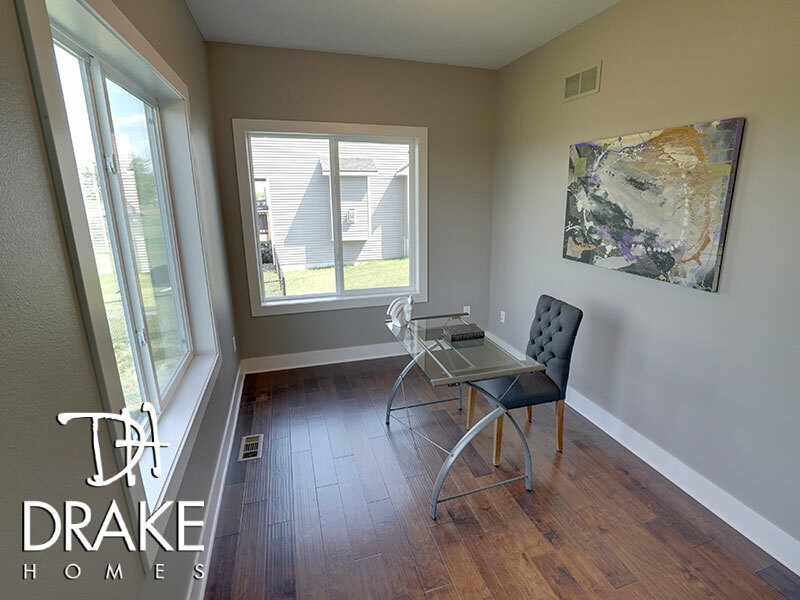 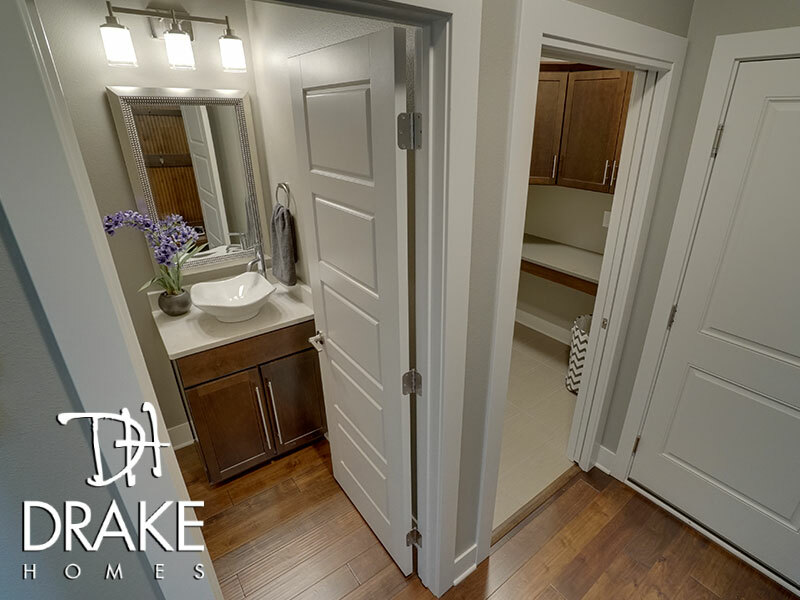 The Drake Homes team proudly builds a variety of amazing new homes all around Des Moines, but this floor plan has obvious exclusivity. 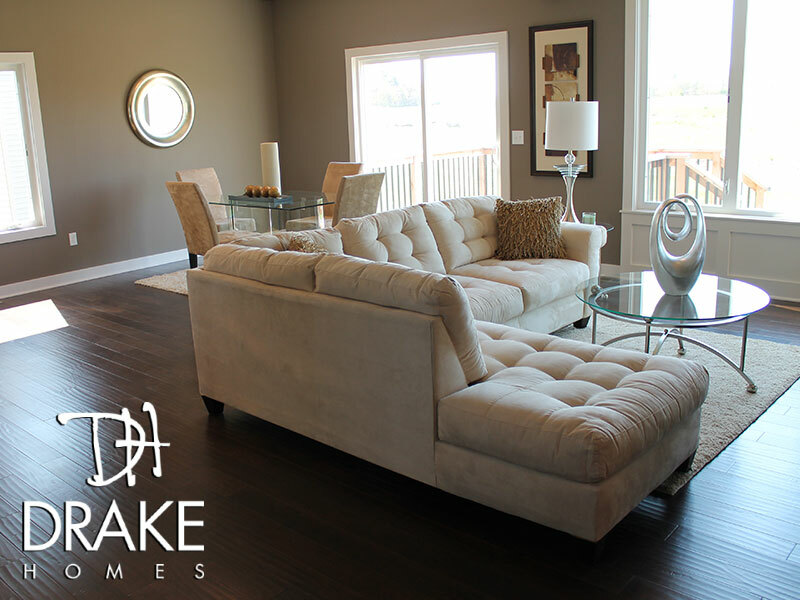 The unmatched craftsmanship remains consistent throughout the entire home of course, but the overall feel of The Modern Dream sets this home apart within our collection of residential floor plans. 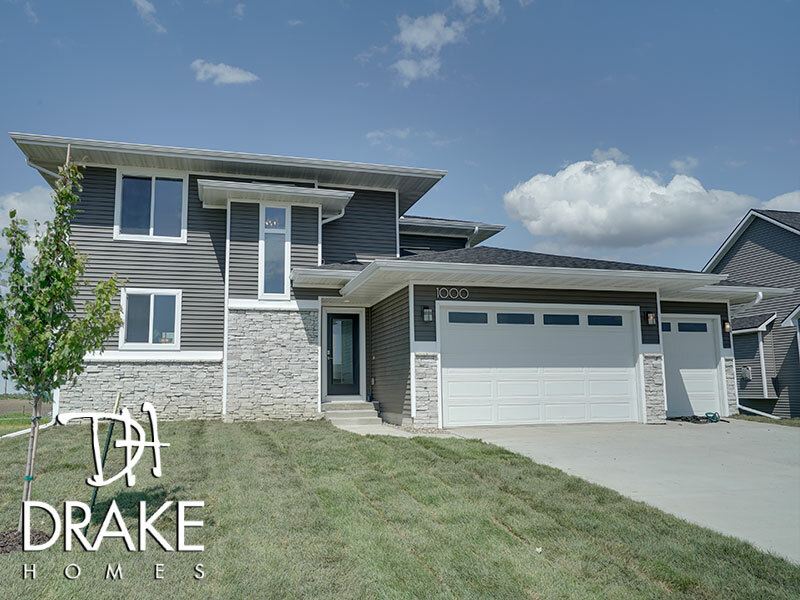 Whether it's the architectural look of this home from the curb, or the chic elements inside the home, if you're looking for a home that defines your unique taste, this home is a dream come true. 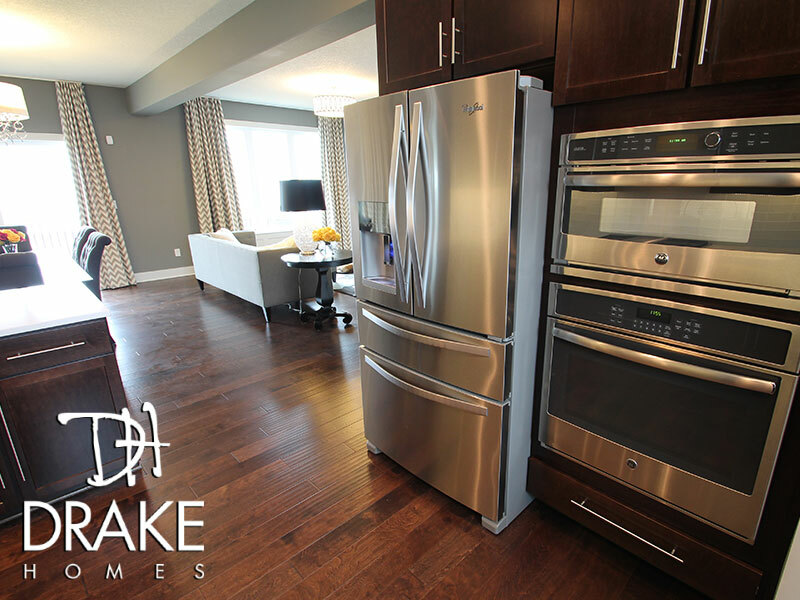 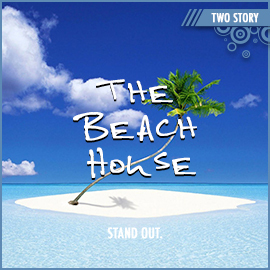 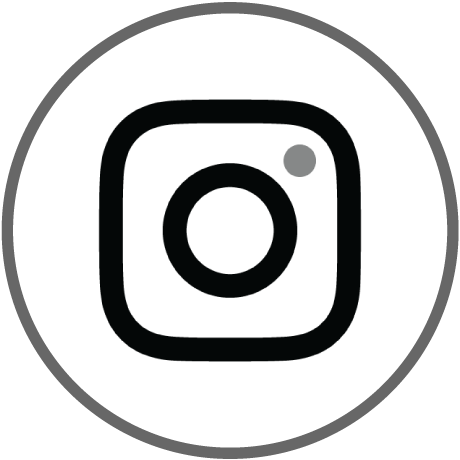 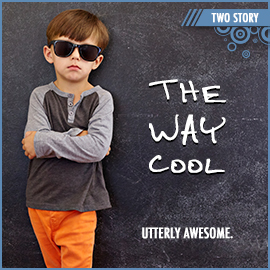 We invite you to enjoy a delicate taste of The Modern Dream on this page. 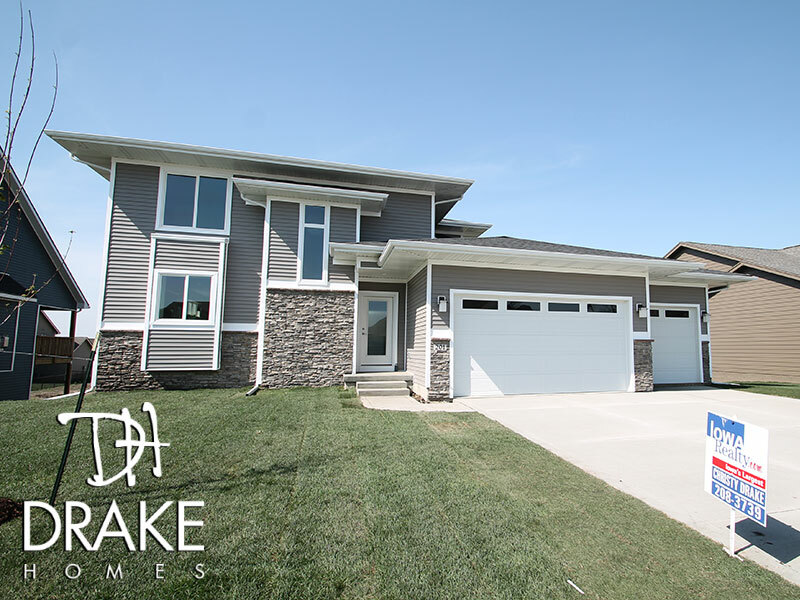 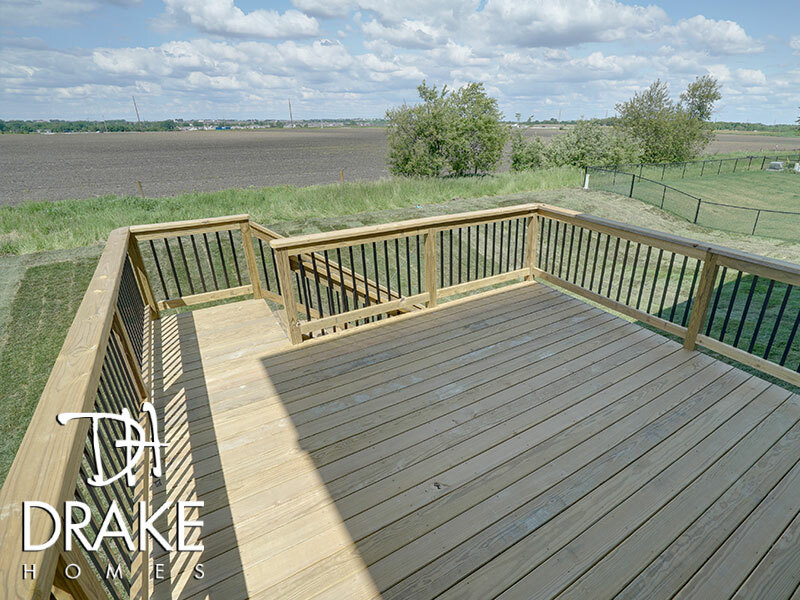 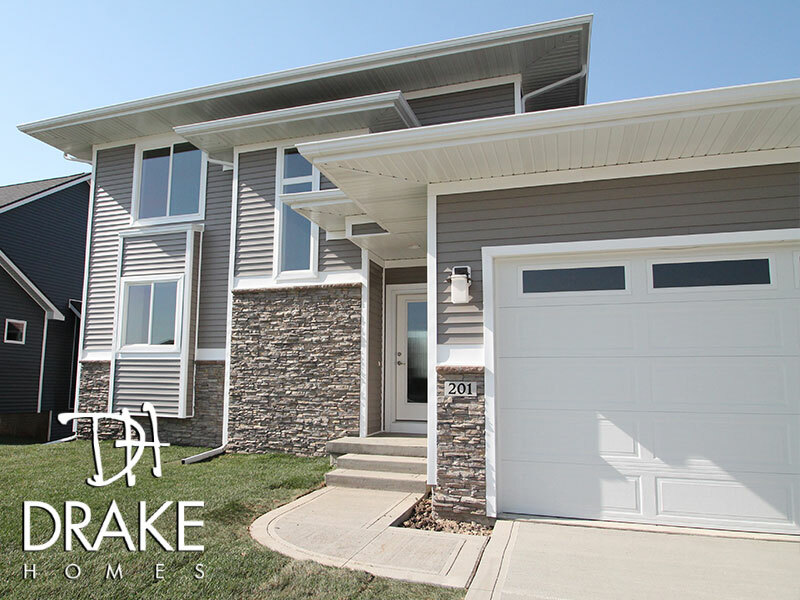 Once you are dreaming of a modern new home like this, click here to see if we have any available around Des Moines or Contact Us if you'd like to discuss building something all your own!